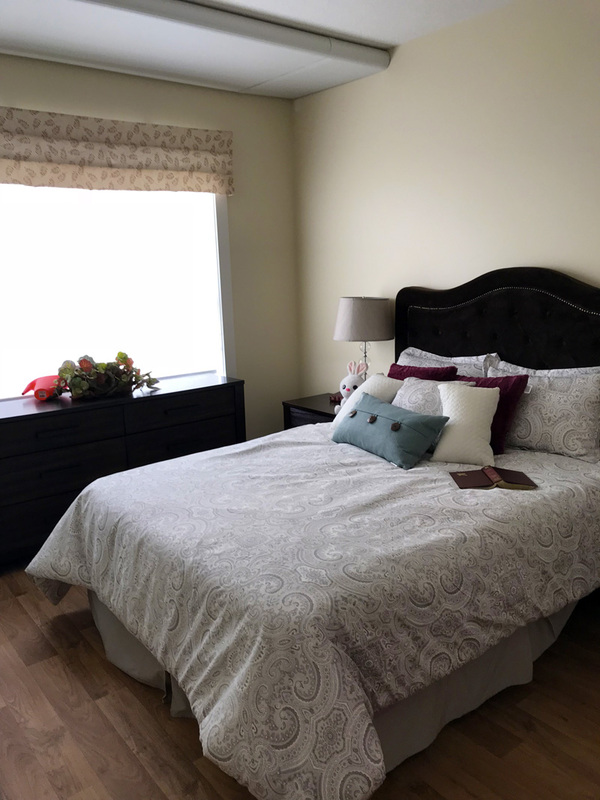 Bar-V-Nook is a modern and welcoming supportive living community located in the town of Smoky Lake, Alberta. 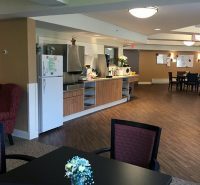 Bar-V-Nook first opened as a Lodge in 2015, and in 2018 we added a connected 60-suite expansion. 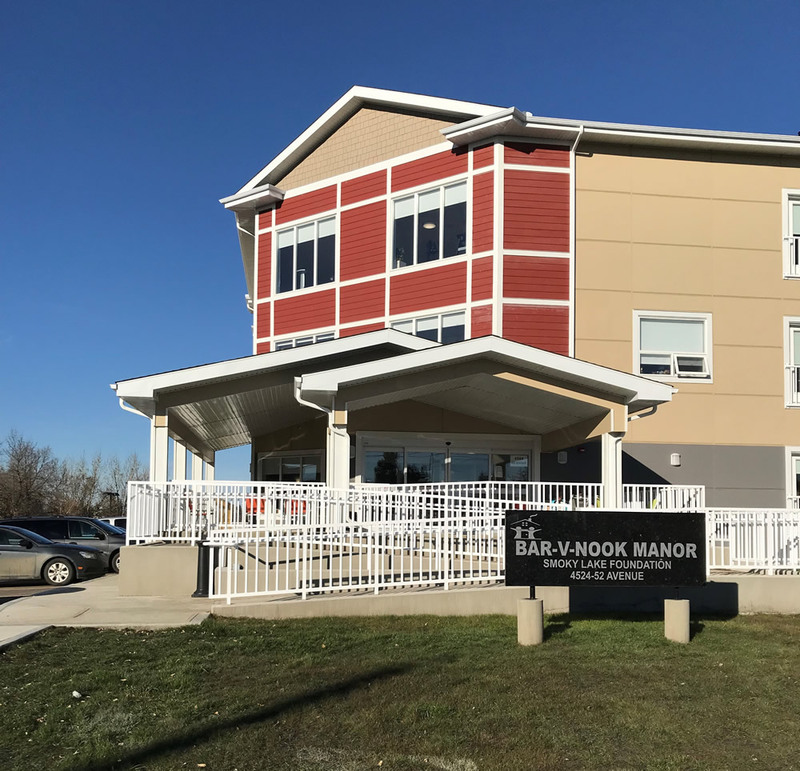 Our Independent Supportive Living (Lodge) residents moved into the new building and brought the name ‘Bar-V-Nook Manor’ with them. 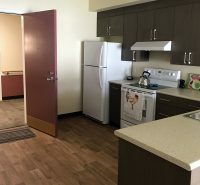 There are now also 12 full-kitchen apartments available for rent. 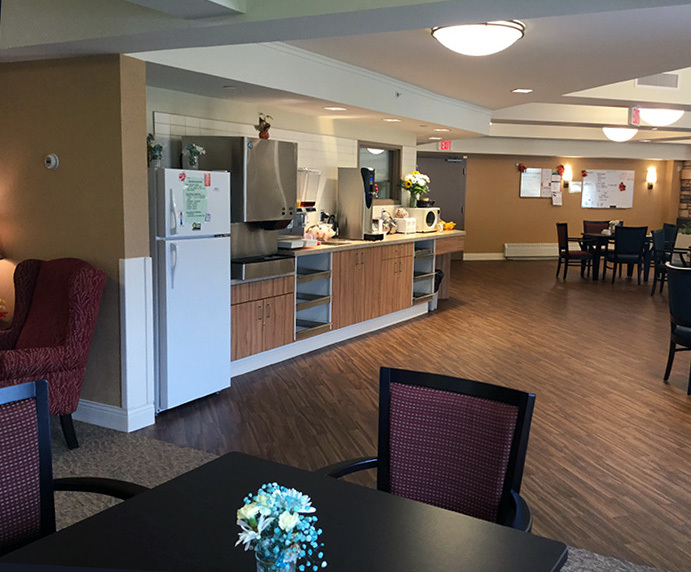 The 41 former Lodge suites have become Designated Supportive Living and Memory Care (to DSL4/4D). The name ‘Bar-V-Nook’ is derived from barvinok, a Ukrainian periwinkle symbolizing faithfulness, and living in peace throughout the seasons of life. The rich cultural history of the surrounding community and farmland is reflected in the name, and in many aspects of day to day life at Bar-V-Nook Manor. The Bar-V-Nook kitchen team produces excellent meals and snacks, much of it a cultural tribute to residents’ traditional foods. The dining room is bright and cheerful with windows looking out to the grounds. Four enclosed courtyards provide a well tended and sheltered spot for residents and guests to enjoy the outdoors. 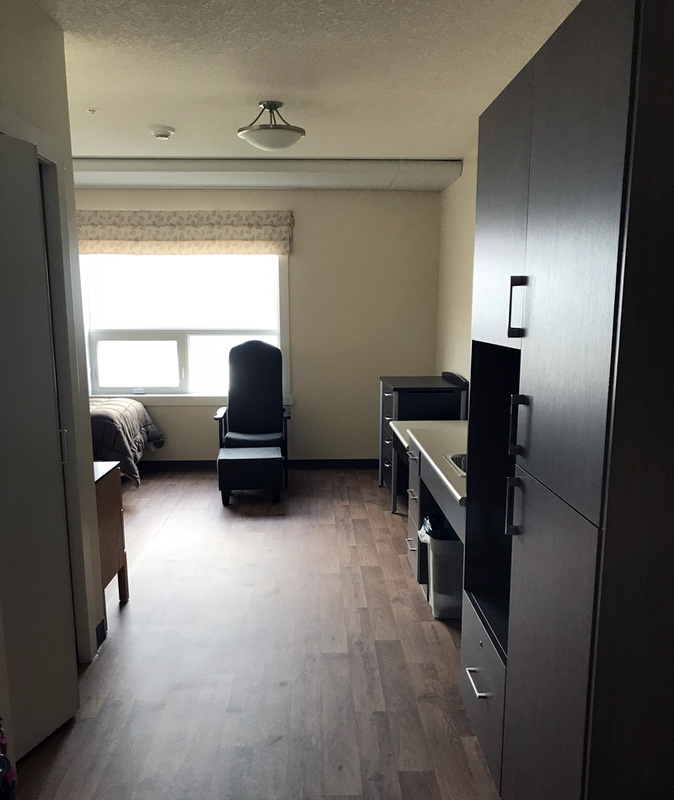 Some suites display courtyard views, while others, especially the upper floors of the three-storey Independent Supportive Living expansion, provide residents with wonderful views of the town, farms, rolling hills and forests. A spacious third-floor deck is an ideal destination for outdoor gatherings. 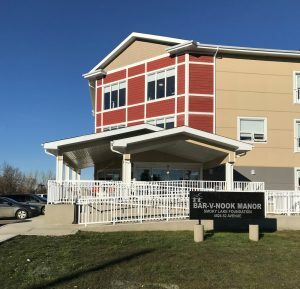 Bar-V-Nook Manor is within easy walking distance from the town centre with its pharmacy, grocery store, post office, restaurant, drop in centre, and churches. And Bar-V-Nook’s recreation coordinator gets active and creative alongside residents, with exercises, games, activities and outings, as well as organizing guest performances and coordinating visits from school and cultural groups. 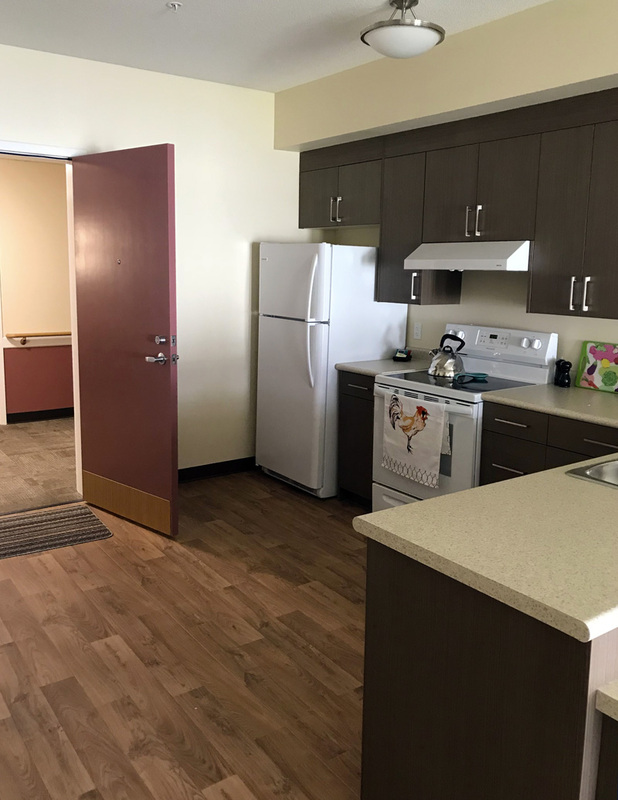 12 non-subsidized apartments with full kitchens including fridge, stove, and dishwasher are available for rent to residents who are able to live independently. Residents are encouraged to join in all of Bar-V-Nook’s social and recreational activities. 8 one bedroom apartments and 4 two bedroom apartments are available. Please contact us regarding vacancies. 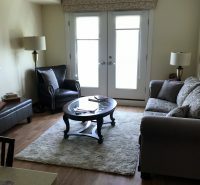 24 Studio Lodge suites and 24 one bedroom Lodge suites are available for residents who are able to live independently. 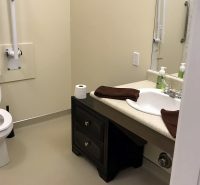 All of these suites are suitable for either a single resident or a couple. 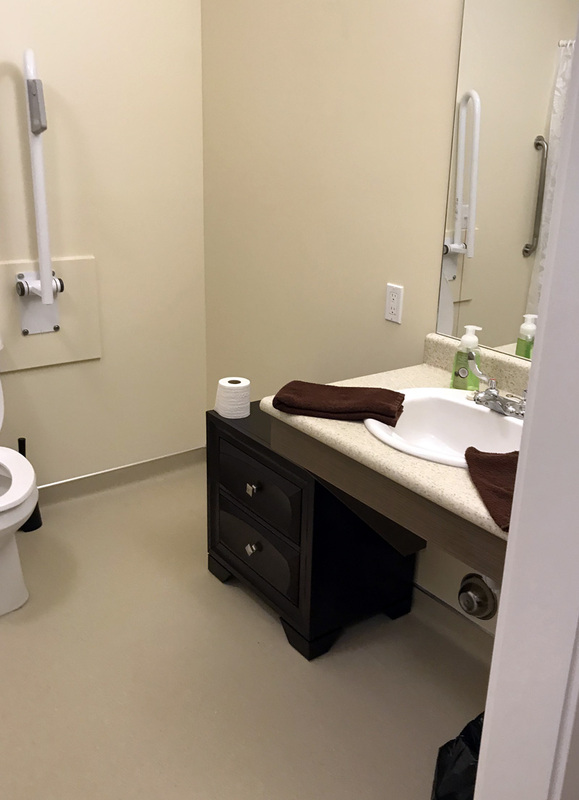 Each suite is equipped with a kitchenette including sink, cupboards, and space for a mini fridge. Smoking: Smoking is allowed in specific areas only, not in suites or common areas. 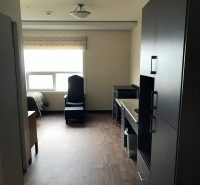 Independent Supportive Living (Lodge) accommodations at Bar-V-Nook Manor are based on priority of need, and rates are based on the Alberta Provincial Affordable Housing Strategy. 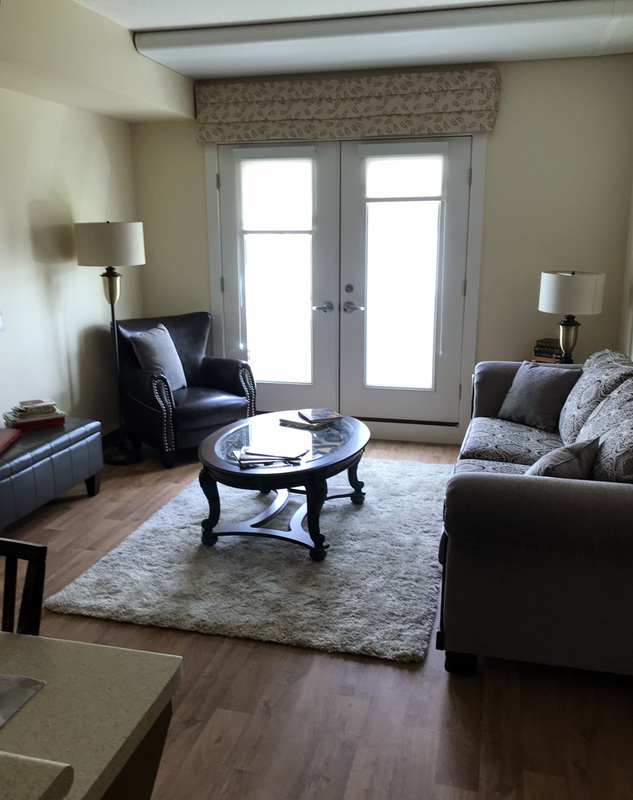 To apply for Independent Supportive Living accommodations at Bar-V-Nook Manor, you will need to provide all of the information on the following forms. 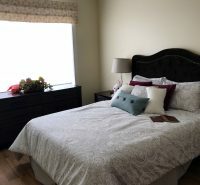 Independent Supportive Living rental Apartments: Contact us today to arrange a tour, request a brochure, or to ask any questions you may have. Address: Bar-V-Nook Manor, 4524 52 Avenue, Smoky Lake, AB Canada T0A 3C0.